It may be cold outside but Getintothis’ Rick Leach picks the best gigs in Manchester to warm you up this February. Outside of music, February is renowned for two things;both of them generally crap. First, mid-month we have Valentine’s Day. The less said about that,then the better. Overpriced tat, bought usually out of guilt or a sense of obligation and received in somewhat embarassed silences.There’ll probably be a fair bit of over-sentimental gushing and words that don’t really mean anything if you look at them too closely. And that’s just if you get given an Adele album on February 14. God help you if you manage to snaffle a card or two. Second, and at the very end of the month, we have the joys of Pancake Day. In New Orleans, they have Carnival and Mardi Gras. Everyone goes wild in a Bacchanalian feast. Here we have instant pancake batter and squeezy Jif lemons. But fear ye not, avid gig goers. We at Getintothis have carefully selected the best gigs in Manchester for you this month, a wide range of music from rap, psych, electronic warblings, lo-fi Afro-Pop and more. 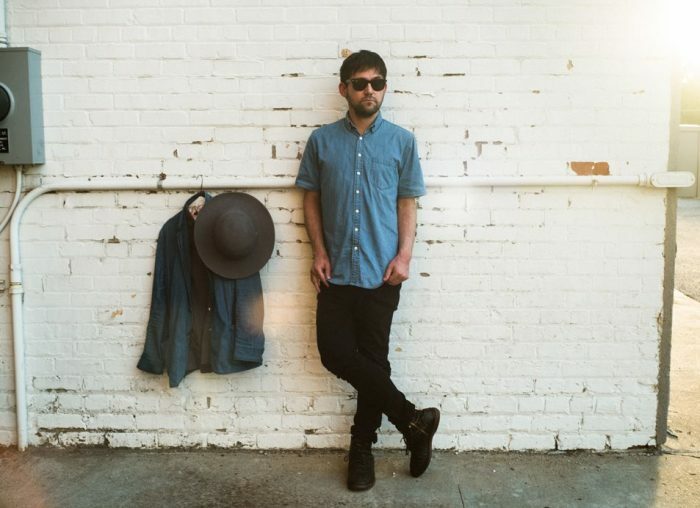 American singer songwriter Conor Oberst plays Manchester on February 2 as only one of three UK dates on his latest tour-the others being in that London and Edinburgh. Since largely coming to people’s attention in his Bright Eyes guise in 1995, Oberst has ploughed his own particular furrow for the couple of decades. He’s consistently produced critically acclaimed work along the way and gained a dedicated fanbase; a measure of which is this slot at the Albert Hall. While many artists have been given the “new Dylan” tag over the years, maybe Oberst is one who it could be applied to more than most. Quirky, folky and always prepared to go out on a limb, Connor Oberst will kick the month off in his own distinctive way. In a rare appearance to these shores, the artist formerly known as Mos Def turns up at the O2 Ritz on February 3. 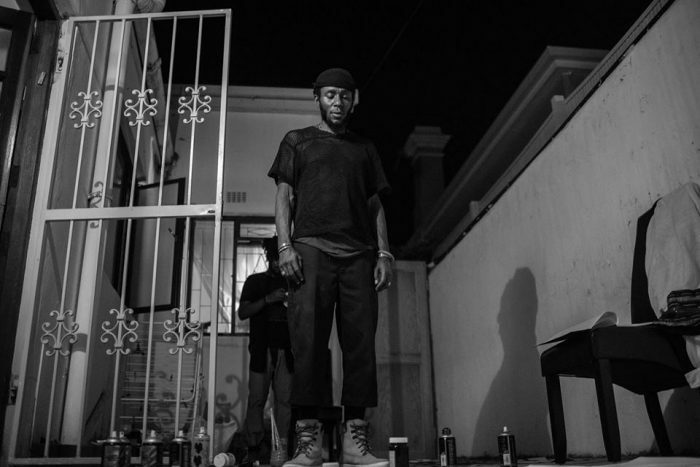 With a career of over twenty years behind him as a hip hop recording artist, actor and activist, his name change in 2009 to Yasiin Bey heralded a sea-change from the later style of jazz- like and almost relaxed work, such as The Ecstatic, which he recorded as Mos Def. As Yasiin Bey, he’s adopted an indignant and more vitriolic tone; one which seems entirely appropriate for these straightened times. This show at the Ritz promises to be something special. 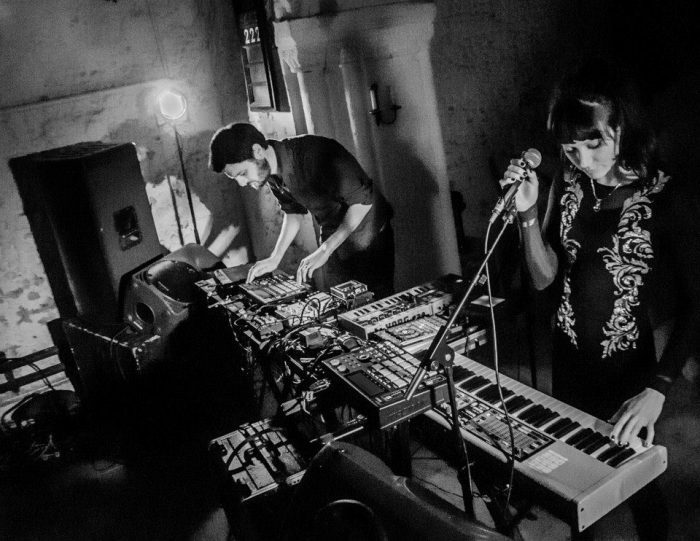 Manchester-based duo, Shield Patterns have a home fixture at the Castle Hotel on February 9. 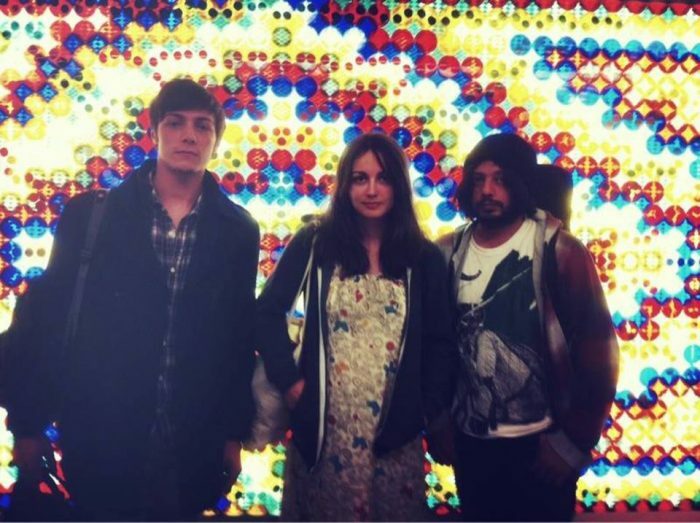 Their most recent album, the staggeringly good Mirror Breathing was released last year and was a follow up to their 2014 debut, Contour Lines. Electronic music and classical music training seem to work well together yet Shield Patterns seem to bring something else and something indefinable into the equation. There’s a distinctive Northern tinge to what they do and in a live context Shield Patterns should be an enticing prospect. 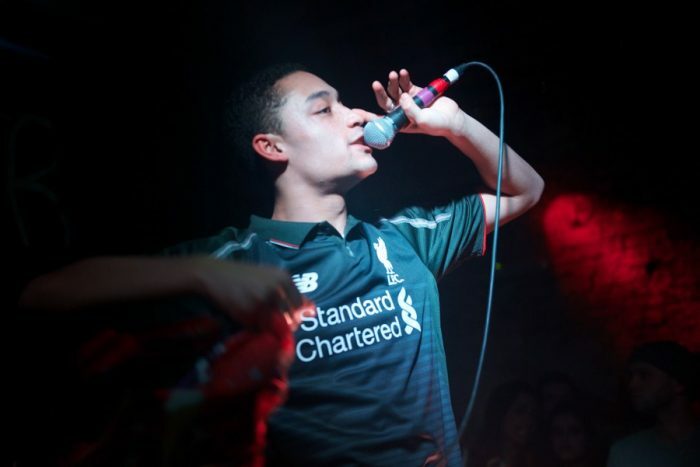 The London-based rapper, Loyle Carner played a blinder in Liverpool a year ago and won many over with his emotional and heartfelt songs. Unfortunately he’s not playing Liverpool on his current tour in support of his debut album, Yesterday’s Gone, but on the plus side he’s only at the other end of the M62 on February 9. It’s really not that far to travel; people in America drive that distance and more to pick up a burger. If you’ve got the chance to see a rising star, then you shouldn’t really let it pass you by. 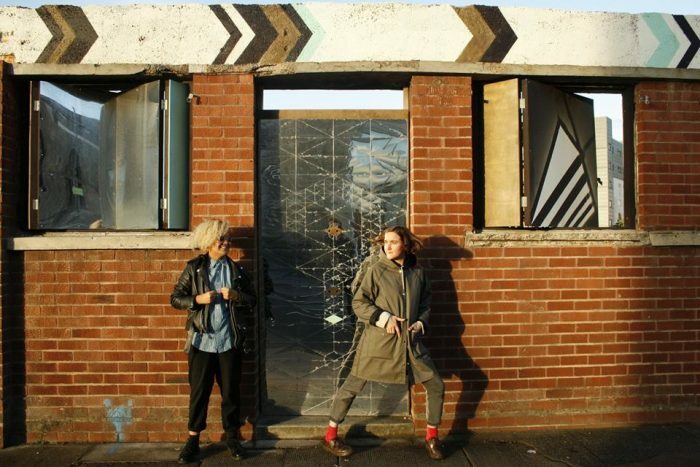 Glasgow and London-based duo (not a combination you hear every day), Sacred Paws play Soup Kitchen on February 15. Having come together when they both played in the now defunct Golden Grrls, they may have a difficult geographical working relationship, but that hasn’t stopped them from coming out with infectious lo-fi and catchy songs. Their debut album Strike A Match, recorded for Mogwai’s Rock Action label,is released into the wild at the end of January and their Afro-Pop stylings will get your cold February feet tapping. 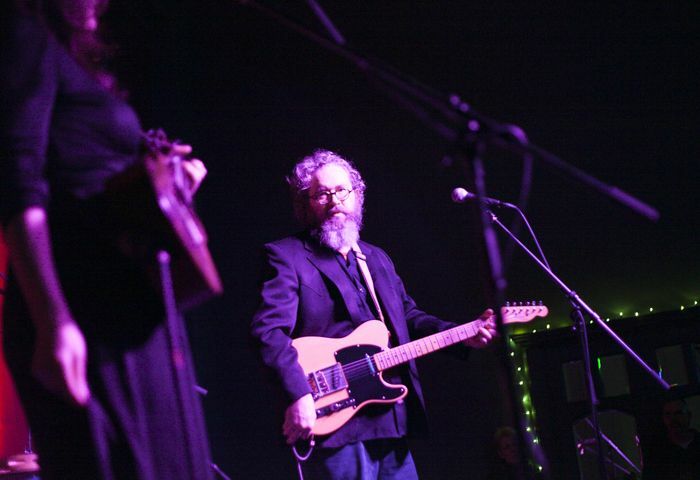 Husband and wife duo, Brett and Regina Sparks, aka The Handsome Family, pop up at the RNCM on February 22. Their most recent album, the tenth of their highly successful career, Unseen, appeared at the end of last year and once again proved popular with those who have a penchant for dark and forbidding tales of life and death in a country and bluegrass setting. What more recommendation do you really need? And on the same night that the Handsome Family fill Manchester with stories of gloom and despair, DJ and producer Sango heads to Gorilla from the US to offer us something a tad more upbeat and certainly more rowdy if that’s your cup of tea. 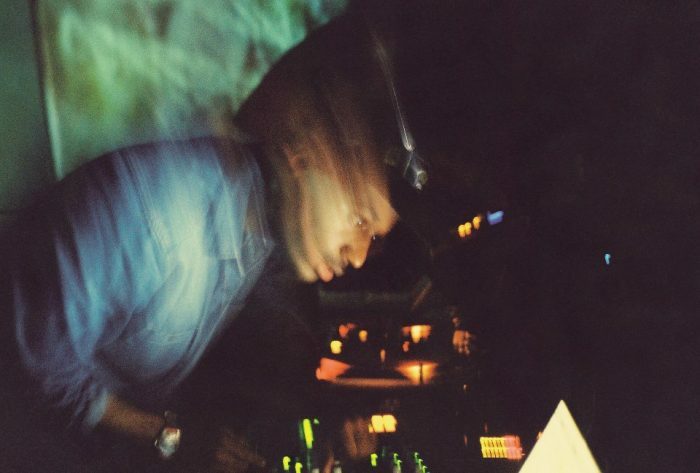 With a second album, In The Comfort Of dropping very shortly and on the heels of his 2013 debut, North, Sango will bring hot tunes from a cold Seattle to warm up a cold Manchester February. As a measure of the depth of live music available out there on the very same night that you can see dark bluegrass or ear-splitting hip hop, then you can always plump for a slice of dream-like psych courtesy of Bristol’s Thought Forms at Soup Kitchen. They recently released a new album, Songs About Drowning at the end of 2016 which is pretty fine as well. We think you may well like this bunch. 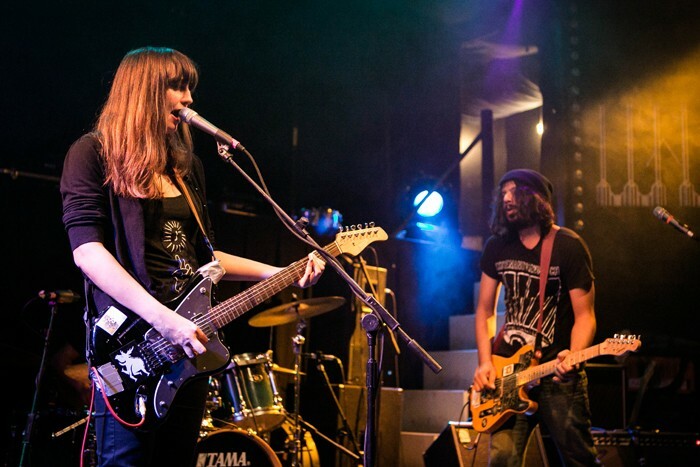 Support comes from the superbly named Dead Sea Apes. You are really spoiled for choice. 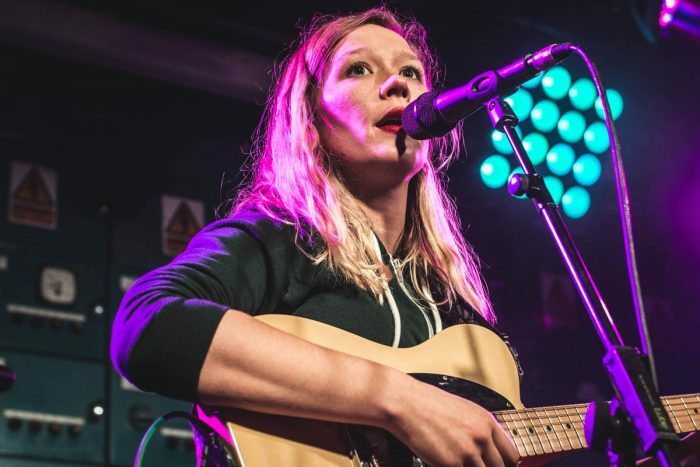 We’ve raved about Australian Julia Jacklin at Getintothis and we’re not alone in our admiration for her. The last time she played in Manchester she supported our Album of the Year winners Whitney, and now she’s back at the small and perfectly formed Soup Kitchen, headlining in her own right. Her debut album, Don’t Let this Kids Win, is a cracker; heartfelt country-ish tunes combined with deft and sharp lyrics. 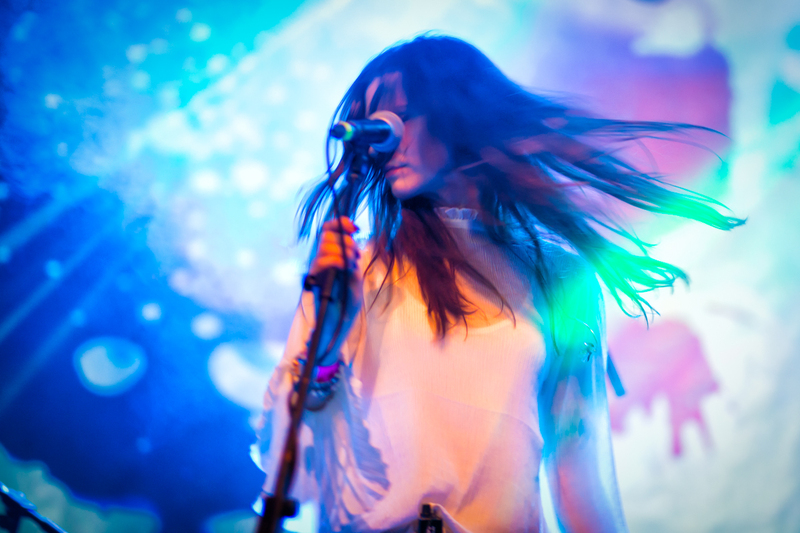 The chance to see her live, now and before she breaks really big, is one not to missed. 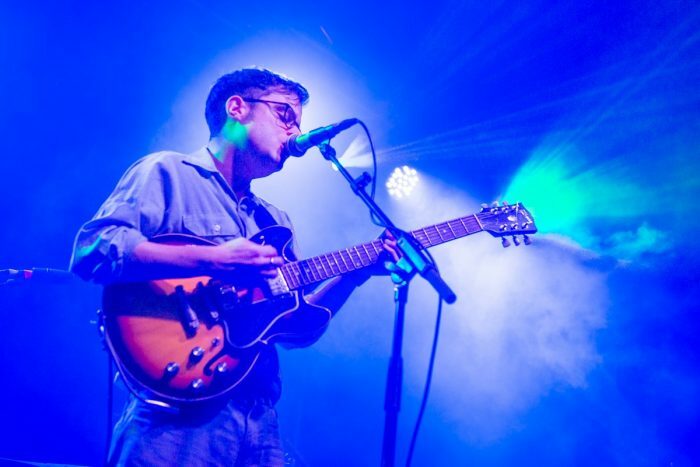 Warrington’s very own Man & the Echo kick off a UK tour with this date at The Deaf Institute, before heading all points North, South, East and West before wrapping it all up back in Liverpool at the Buyers Club on March 8. They’ve been slow burning for a good while now and have their debut, self-titled album which came out in October 2016 under their belts and on the shelves. With finely honed and catchy tunes to play and very confident in a live setting, Man & the Echo will no doubt win hearts and minds over in Manchester and further afield in 2017. There’s a distinct buzz around Desperate Journalist and with their debut album, Grow Up due to drop in March, it’s easy to see why. 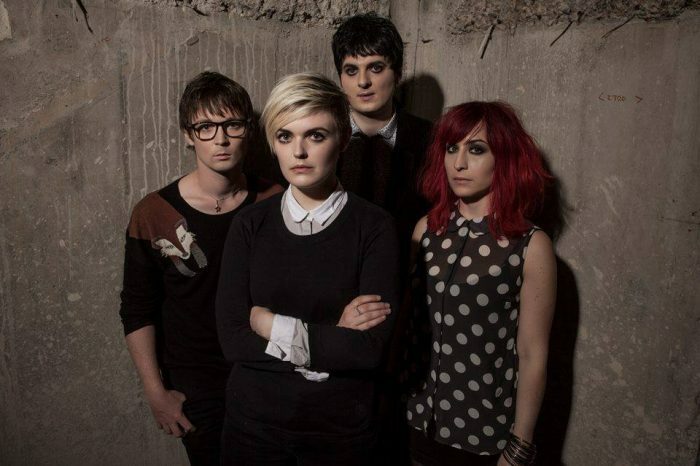 This four piece, post punk influenced band harness the likes of the The Smiths and The Sundays and their ilk but bring it forward to 2017 with powerful and driving songs and combine it with the righteous anger of Savages – in a live setting they promise to be very good indeed. There’s also Mark Eitzel at The Deaf Institute on March 9, Thundercat at Gorilla on March 23 and Miles Mosley at The Band on the Wall on March 30. We love March.